Rising out of the rubble of the 2010 earthquake, Haiti's quant gingerbread-style homes, hidden across the capital of Port-au-Prince, gained new attention, being some of the only buildings still standing amidst other, newer buildings that tumbled down. Today, the urgency is on preserving these treasures, which have been neglected and unrenovated for many years. Many have already succumbed to the crush of the bulldozer, making room for lesser structures, but their ability to stand upright when hundreds of other buildings around them crumbled to dust proves they are well worth the saving. The gingerbread homes are so called for their old world architecture, including wood frames, spires, turrets and whimsical latticework. They are often hidden behind high walls like erstwhile castles, preserving time while Port-au-Prince expands around them. Taking part in the preservation of these precious buildings is a nonprofit called FOKAL, or Knowledge & Freedom Foundation. Within the program, local craftsmen are learning how to restore the homes, as the arts of carpentry and masonry, as they were in the days the homes were built, aren't being passed down in the same way today. 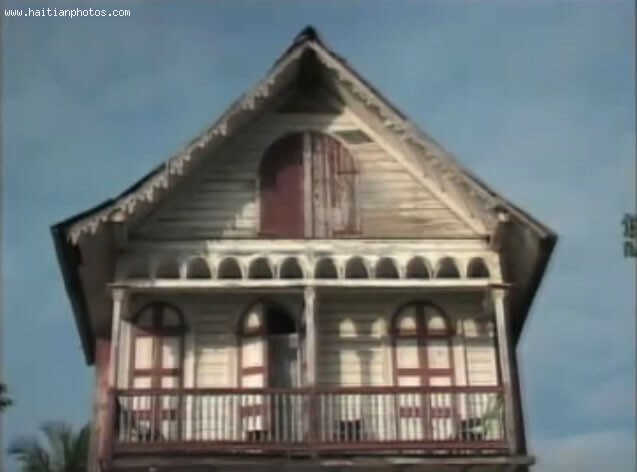 Haiti, known for its French colonial houses, has been harboring an unusual architectural treasure, Gingerbread houses. A fusion of styles, derived from homes built in the American South and modified for climate conditions in Haiti, they have resisted hurricanes and tremblers. In 2010, Haiti's earthquake turned buildings in Port-au-Prince into masses of rubble. But a 125-year old Gingerbread house in the capital survived the quake virtually unharmed. Spearheading a project to restore Gingerbread houses, and make them into retail establishments, is the partnership of the French Institute in Haiti and the Knowledge and Freedom Foundation (FOKAL). The Bois-Verna neighborhood in Port-au-Prince holds 200 Gingerbread houses. They are called such due to ornate latticework, winding around the circumference of the structures' features. Gingerbread houses can endure Haiti's torrid weather. Tall ceilings and turrets direct stagnant hot air upwards, and windows surrounding the house produce a cooling breeze.